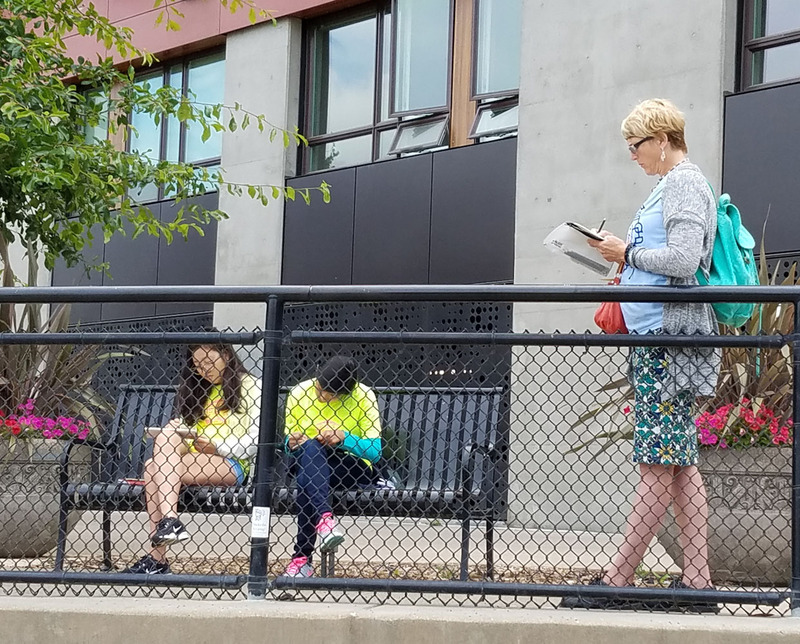 7/12/16 Roham and David sketching Pine Street. Before today, the statement above was all I really knew about the Northwest School, because that’s the philosophy I read on its website. But this morning I got a brief look at what exactly that philosophy means – and wished that I had been exposed to such a philosophy when I was in grades 6 through 12! David Chamness and I talked briefly to the five students, ages 10 through 15 and from several countries, in the classroom about our experiences sketching from life and showed them our sketchbooks and sketch kits. Then we all spent the rest of class time sketching in the area of Boren and Pine in the heart of downtown. 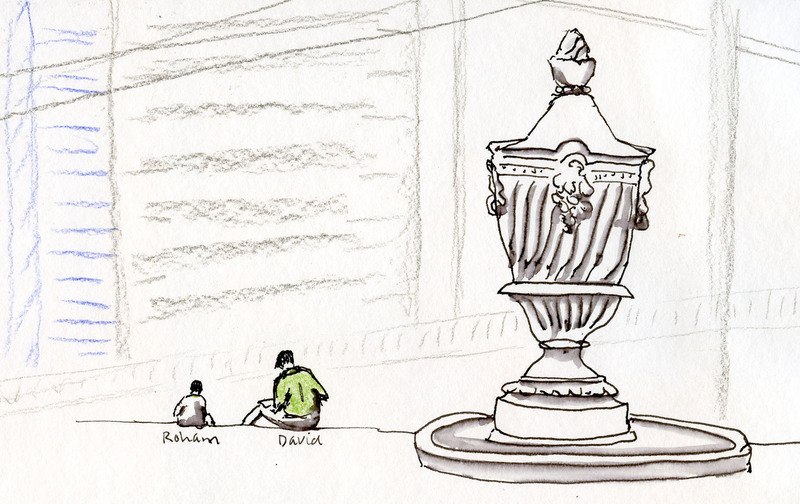 As I expected, the kids didn’t need us at all J – they all jumped into urban sketching with gusto. 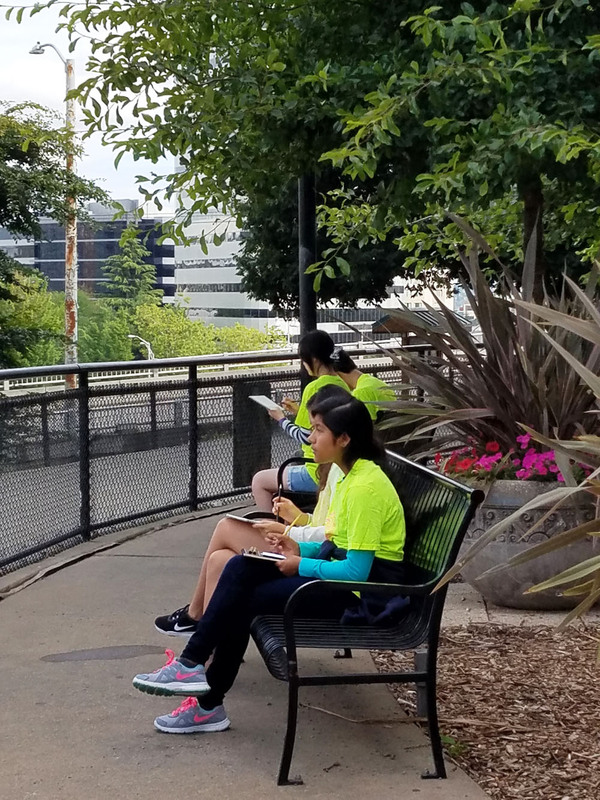 Engaged and enthusiastic, some were impressively aware of art, design and architecture in our urban world. 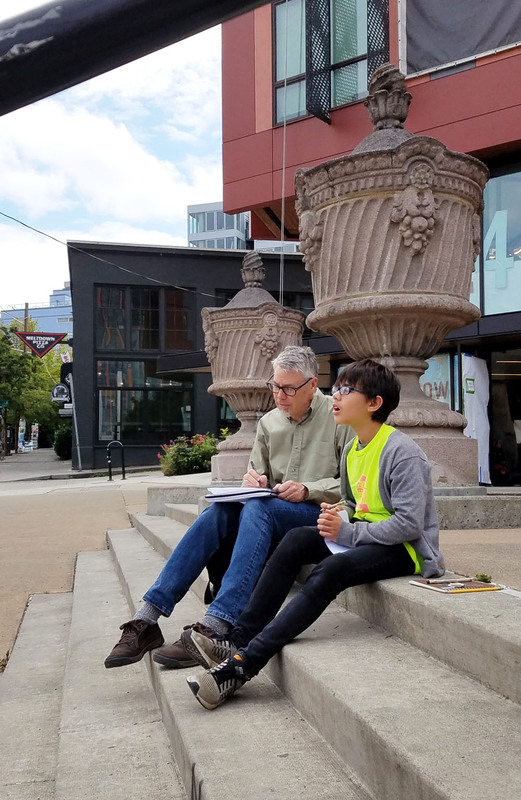 Those bright young people will someday be our architects and urban planners – and hopefully urban sketchers, too. Like I said, I sure wish I’d had the Northwest School to attend when I was their age! 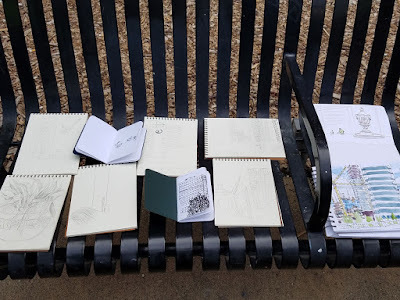 In true Urban Sketchers fashion, we all threw down our sketchbooks to share at the end of class! Great job Tina on the blog post and thanks for coming and sharing your love and enthusiasm for urban sketching to the next generation. 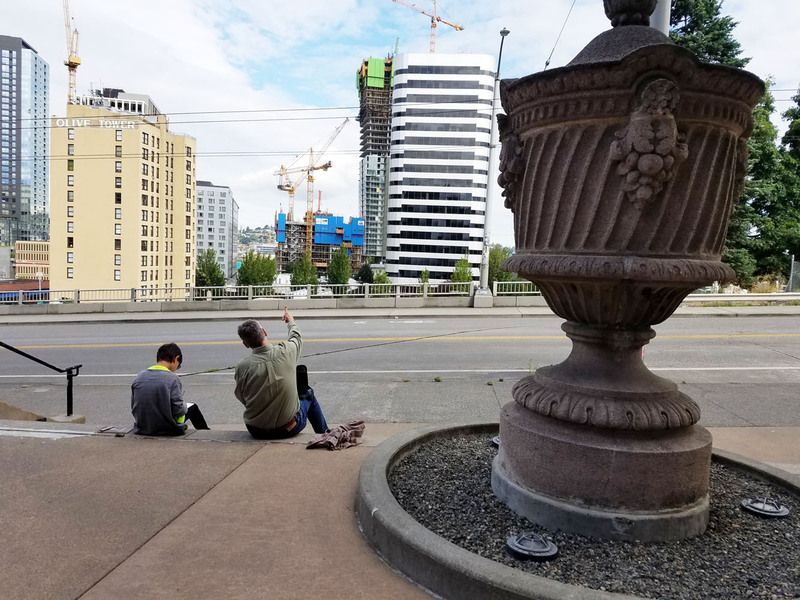 It is always wonderful to get out in the city and sketch with all the changes happening in Seattle. Thanks students and Lily for letting us share. Thank you both so much for the generous gift of your time, experience and enthusiasm for sketching! The students were completely engaged and inspired! I always strive to begin as I hope to proceed and this was the perfect portal. Many thanks to you both. It was great being there with both of you, David and Lily -- you're both terrific teachers! And the kids were inspiring! This is really fun. 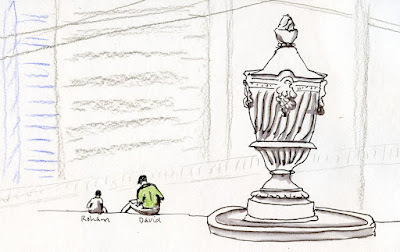 I love the idea of working with youth on sketching or any art projects for that matter. Way to go you two!